The dust and streamer (angel hair) removal machine, tradenamed DeDuster®, is rated the number one separator by pneumatic conveying experts. The dust level after cleaning of resin, plastic pellets, regrind and other granules achieves dust levels below 30PPM. 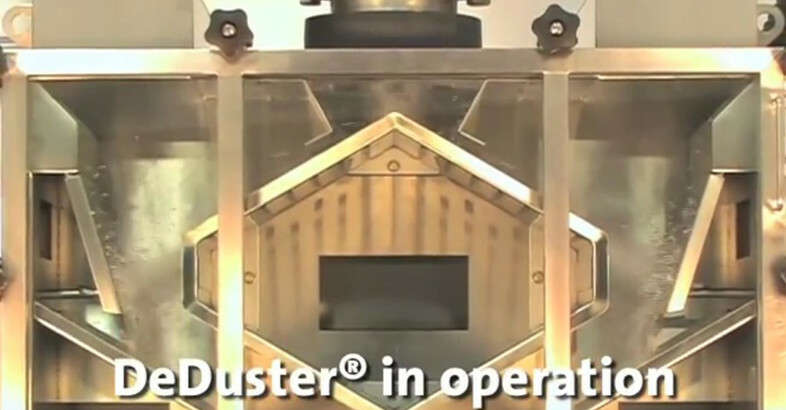 Elutriators and other low-efficient separators can be replaced with high efficient DeDuster®.